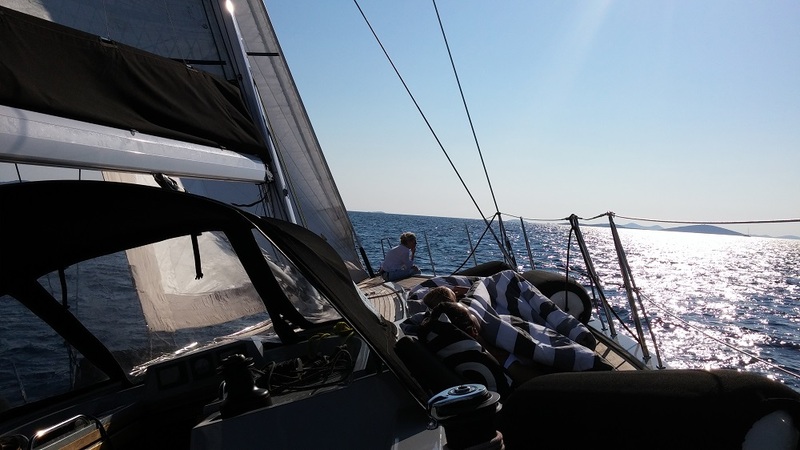 “She’s a lady” – that was the first thought which flew through my mind the first time I sailed out on the helm of Solaris 48. She looked so elegant and mighty at the same time that I felt like we both couldn’t wait to take off. I took some pictures before I did the check-in and posted them on my Facebook profile. Within minutes some 50 friends of mine liked those photos, with several comments revealing a feeling of jealousy. 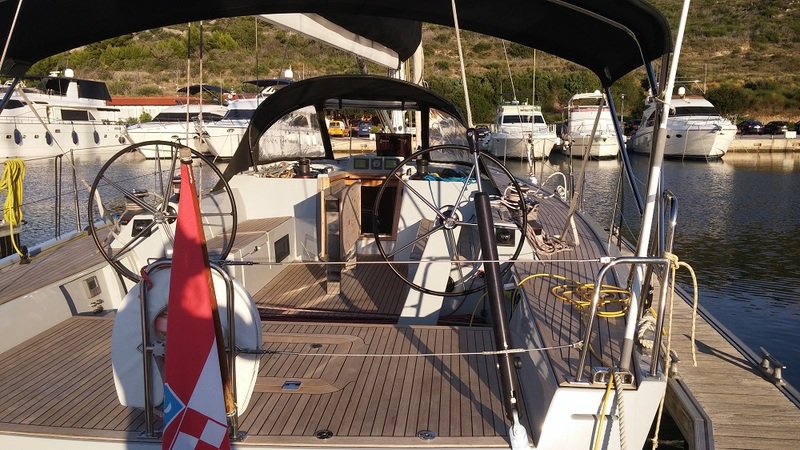 When my guests arrived, I took a closer look into the interior and found out that Solaris 48 is just as elegant inside as it is outside. It is because her designers have taken simplicity as one of the primary conditions for elegance. Besides, there are only three cabins, two heads with electric flushing toilets, a handy galley with a large fridge and freezer, and finally a spacious saloon. Even a tall person does not have to bow down an inch to be able to take a walk through the interior. LED lights and light color of wooden fitting emphasize the sense of elegance and space even more. When everybody was accommodated we finally took off. The main sail was hoisted pretty quickly and easily thanks to a powerful electric winch, but the rest of the trimming was done by manpower, with great pleasure. 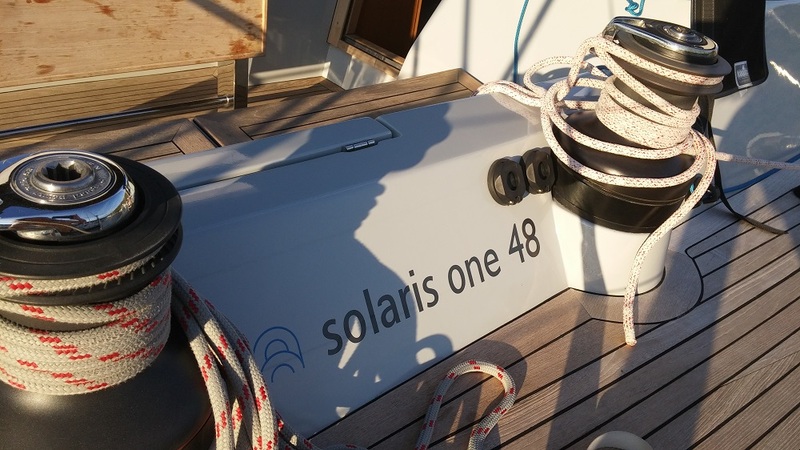 When sails were up and fine-trimmed, Solaris 48 showed her true face. She accepted close hauling with around 18 knots of the wind and correspondingly strong waves with astonishing ease. 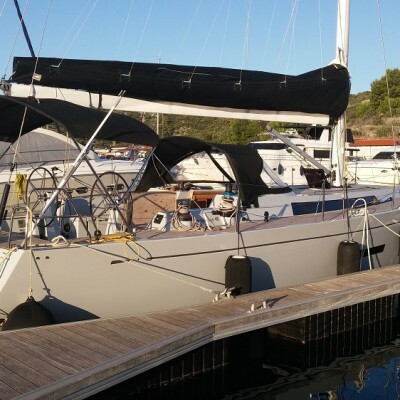 Rigging and hull construction were done with a great deal of expertise and care. The yacht held her route without splashing, bouncing and wild twitches, which proved once again that I wasn’t wrong when I called her a lady. Motoring and docking also went quickly and pretty smoothly because her 75 HP Volvo Penta D2 is well-isolated and protected from sounds and vibrations. 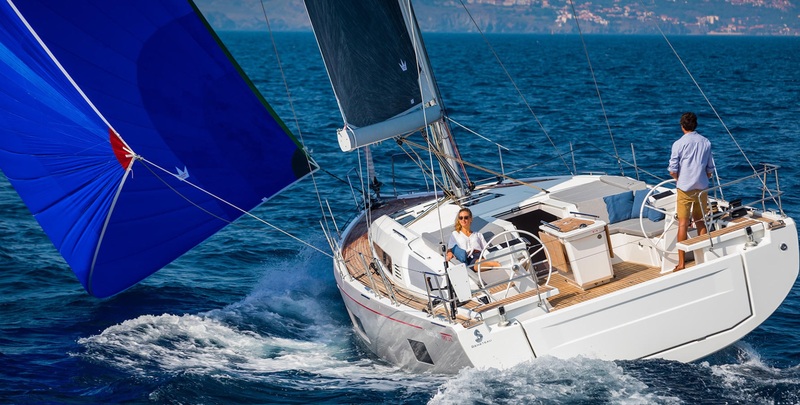 The problem of a strong side-wind while docking can be solved with the robust bow thruster, which comes out of the hull so one has to activate it before the procedure begins. 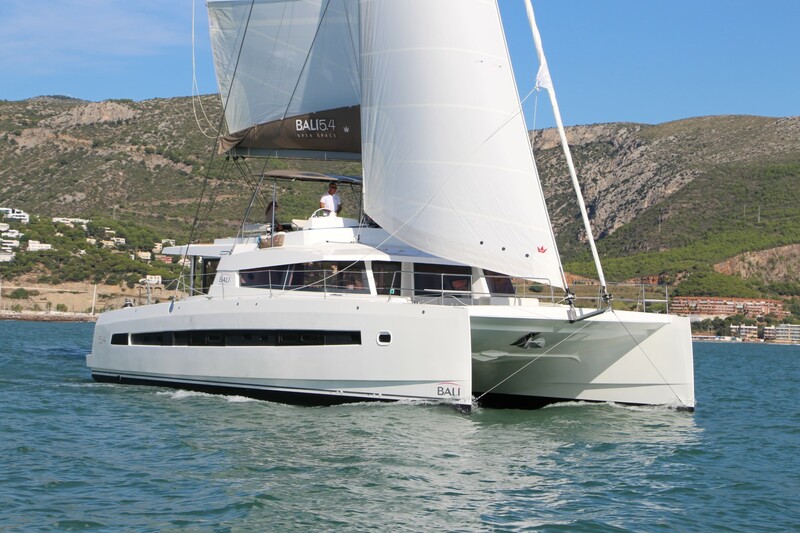 Solaris 48 was designed in 2006 by the famous naval architect Bill Tripp. When it comes to yacht design, his primary goal was “to create highly efficient yachts that marry style and comfort with speed and safety, harnessing the natural energy of wind and waves to convey upon the yacht the beauty of traveling the sea.” Congratulations, Mr. Tripp, my first day of sailing under the sails of Solaris 48 has convinced me that you have achieved your goal in every segment! 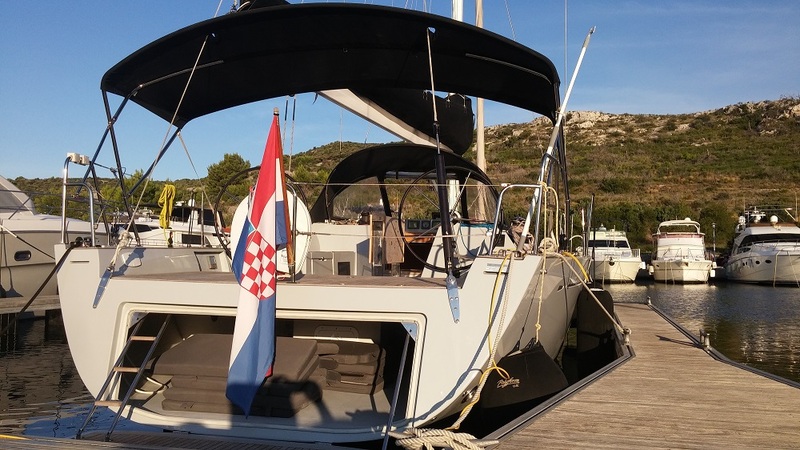 This particular lady was constructed in 2009 as a beautiful light grey, teak fitted 14.95 m long yacht with a beam of 4.40 m and drafting of 2.80 m. The full comfort and autonomy of sailing are provided by a 300 l fuel tank and 500 l fresh water tank, while a dinghy and all spare things such as ladders, swimming cushions, fins, snorkels etc. are stored in a large illuminated garage under the cockpit. The access to the garage is possible through a large hatch in the cockpit deck and after lowering the platform which transforms into a large and safe swimming area.